The latest Retail Box Secret Box was announced this week, and, boy-oh-boy, were people waiting for the latest reveal! How cute? 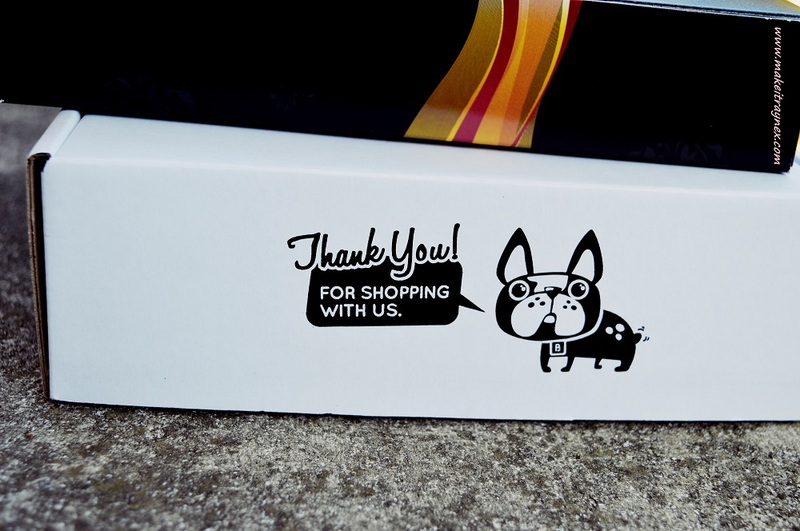 So cute, Retail Box. 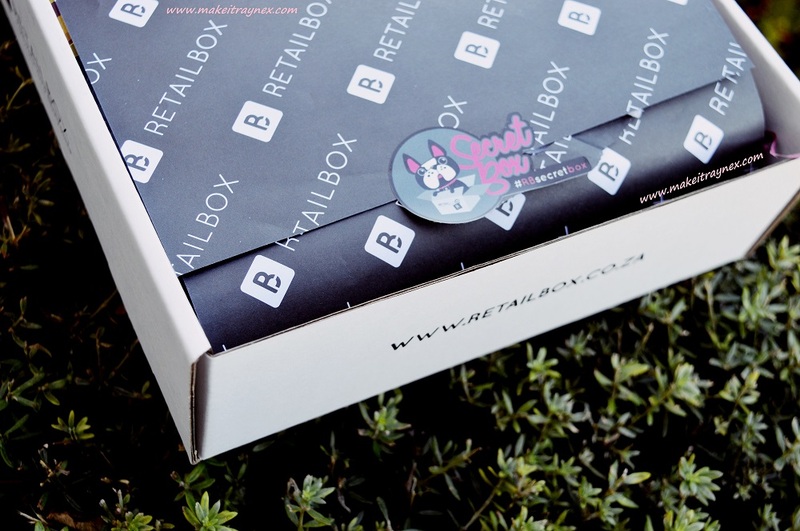 As far as subscription boxes available to South Africans go, they are pretty few and far between. And – no name dropping – I have been sorely disappointed with every box I have ever decided to take the plunge on. So because of this, I have shopped Retail Box online before, but I have never gone for one of their iconic Secret Boxes even though I have seen in the past just how worthwhile their boxes can be! 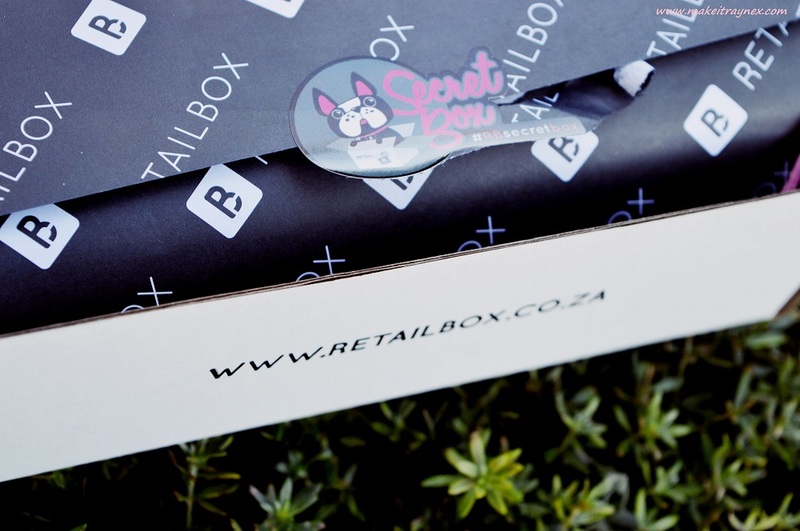 Anyway, I was one of the media peeps chosen to be sent this Secret Box and even though I had not actually parted with any of my own moola, I was super excited and also nervous – being scrupulous when it comes to haircare, I was so hoping the products would be great! So, sue me. We received the boxes and I did not recognize the brand. Already the excitement started to mount.. These are products that are not readily available to buy off the shelf at Clicks. These can only be bought from a salon. 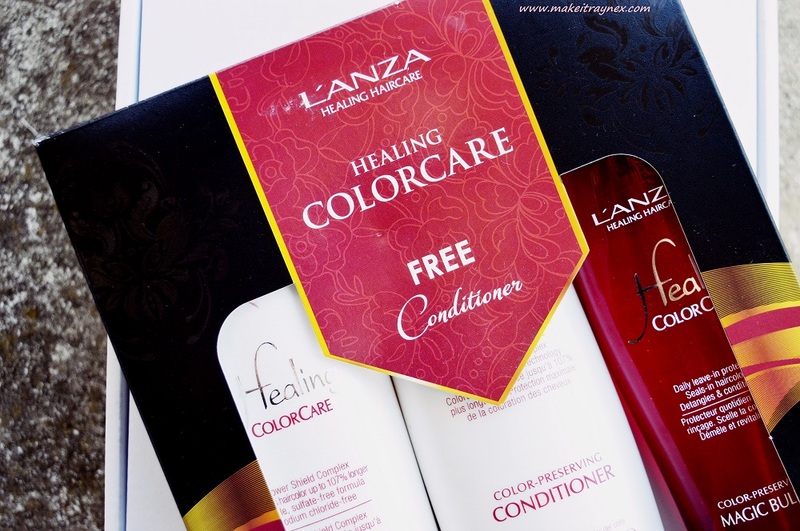 The box contained three full size products (another great bonus and sore point when it comes to past subscription boxes) from the L’Anza brand. 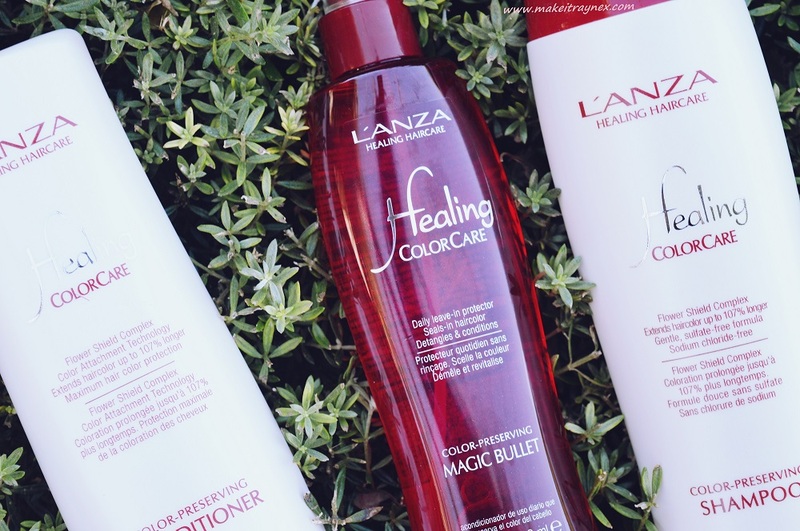 You can read a bit more about L’Anza overall on their website. The three products were the ColorCare Shampoo (R330), ColorCare Conditioner (R330) and – my favourite – the ColorCare Magic Bullet (R390). Now, if you are like me, you will have been adding up the rands in the last sentence. The grand total of the box is R1050! And considering that the Secret Box costs R299, you don’t need me to tell you what a steal this is. 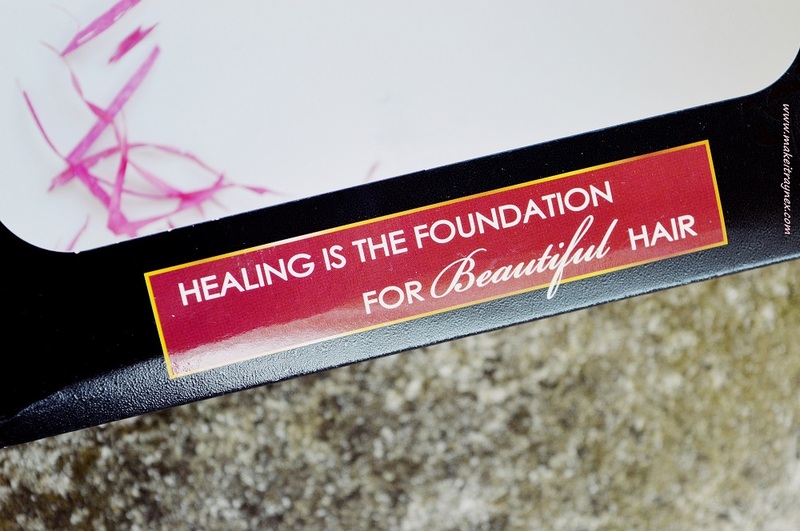 The entire Healing ColorCare Color Preserving range is formulated to suit all hair types. The most interesting ingredient award definitely goes to the added Flower Shield Complex; this is a protector that actual flowers contain to keep their bright and enhanced colours. The color preserving shampoo , while containing the Flower Shield Complex, does not contain any of the usual hair care nasties like sodium chloride, sulfates or parabens. It is also advertised to be especially gentle on any and all hair types yet it still provides maximum protection. The color preserving conditioner has all the same positive strengths as the shampoo, as well as providing super lightweight moisture and essential strength. It also has added sunscreen (yep – you read correctly) to add even MORE protection to your hair. And I swear, it does not smell like sunscreen. The website does specify to use this generously on your hair. 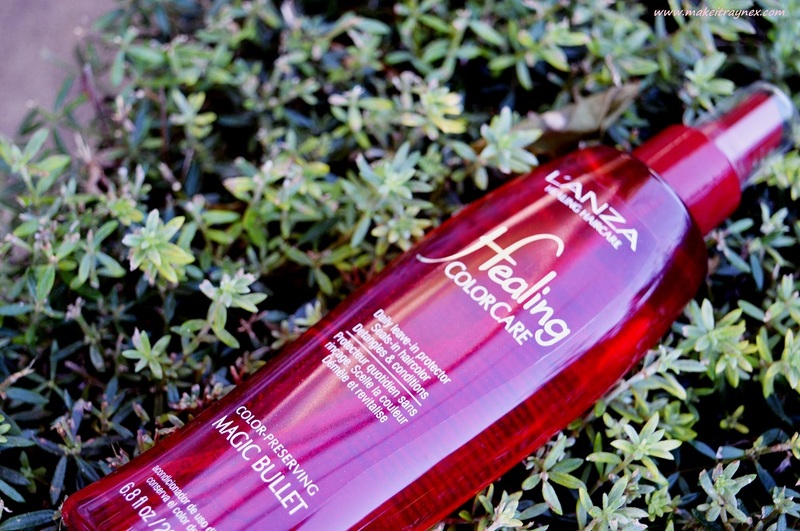 No “use only a pea sized amount” nonsense for L’Anza! The consistency of the conditioner is also super thick – like, thicker than most other conditioners. Then, the creme de le creme for me, the color preserving Magic Bullet. Again, this contains the amaze Flower Shield Complex and and suncreen that was aforementioned. It also offers color protection, the ability to detangle hair. Furthermore, it is of a super lightweight consistency as to not weigh down your hair at all. ANDDD it can be used on damp or dry here before or after styling. If being used before styling, this is absolutely fine, you can use any heat tools on it as long as the temp of the tool is 250 degrees Celsius or less. I have been using all three hair products religiously since receiving them but – disclaiming for review purposes – , because I try to wash my hair so infrequently, this means I have only used them four times over the two weeks. However, I have used the Magic Bullet almost every day since receiving it. As I said before, it can be used on damp or dry hair and, as I do not style my hair every day. I literally spritz it on my locks a few times in the morning and brush it through. It really is lightweight so it causes no buildup when used over a couple of days without washing the hair after. One evening I used quite a hefty amount then twirled my hair up into a bun and slept like that. The next day my hair had a super soft and gentle curl to it! The shampoo and conditioner does not leave any buildup on your roots. Thankfully, as I have been dealing with some hectic dandruff lately (totally brought on by a certain haircare brand!). I was worried that the duo might react badly with my heavy duty anti-dandruff haircare that I am alternating hair washes with. It leaves softness and a fresh smelling scent over all. The bottle does state to use on hair twice for perfect results but I did find that one use of each was sufficient enough to leave you with great haircare results. The conditioner also rates pretty high in my book. It leaves you with smoothness, and no crackly ends at all. Even though I haven’t been for a hair cut in over a year! If I was to repurchase these, I would definitely opt for the awesome industrial 1L bottle. With hair like mine, this normal size bottle will be used up with in a month! The curse of finding a great hair product when you have long tresses. This pic is the morning after using the shampoo, conditioner AND magic bullet for the first time. 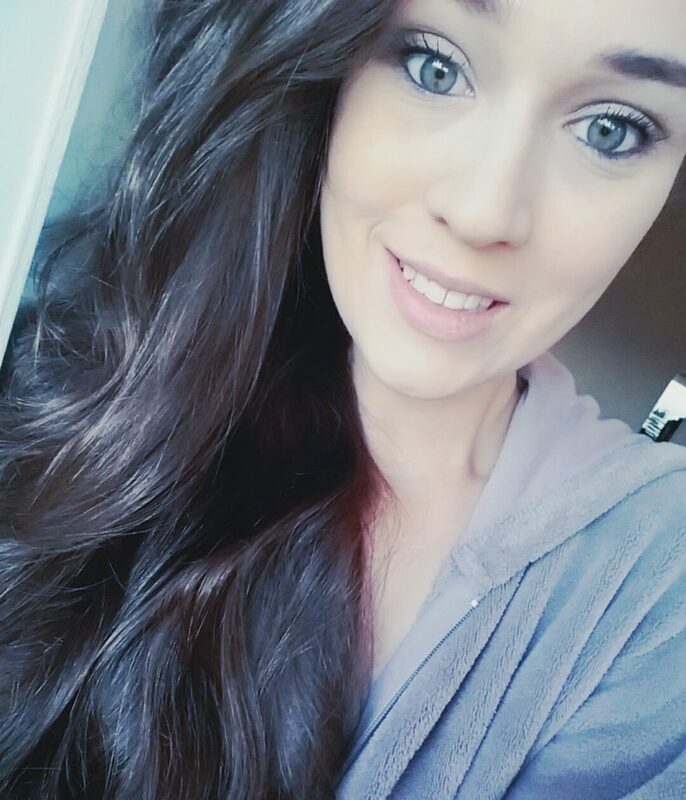 Obvs I am wearing make-up but I am still in my onesie and legit did not touch my hair with anything else. I am quite sure that you know all about Retail Box. If you don’t, check out this link to see a bit more on the brand. Something I actually did not know before writing up this post is that Retail Box is the online store for Style Bar. You can purchase the latest Secret Box directly from this link .Seriously, you better hurry because I know the boxes always run out fast. There were only a handful left as of last week! And remember.. R1050 worth of products!